Vincent Dermody produces sculptures that aspire to the condition of magic. Incorporating empty beer growlers, concrete, bric-à-brac, and detritus from the last century­­­, the artist constructs memory jugs that are not so much keepsakes, as investigations into the self-deprecating nature of memory. The vessels are both an elegy to his first-generation Irish working–class anxieties and a monument to the gift and curse of drink. The layering of Dermody's sculptures "has been a consistent feature in (his) work over the last decade, but in the sculptures the process of burying found and collected objects in concrete has given the palimpsest a material anchor...the memory jugs are a scrapbook of (his) failures, anxieties, and dreams." 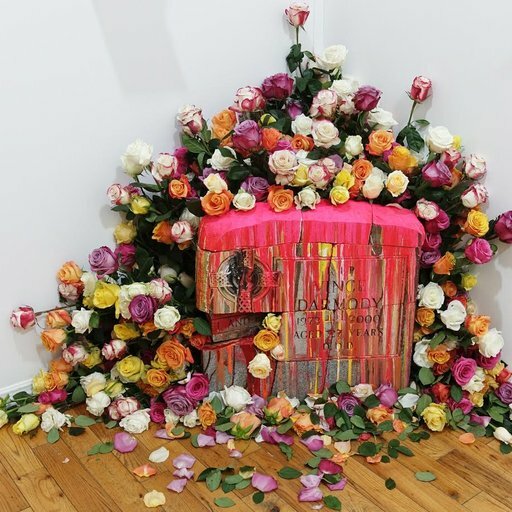 Dermody has exhibited his work in solo shows at several galleries in Chicago, including The Storefront, Heaven Gallery, Suitable Gallery, and Exhibition Space. 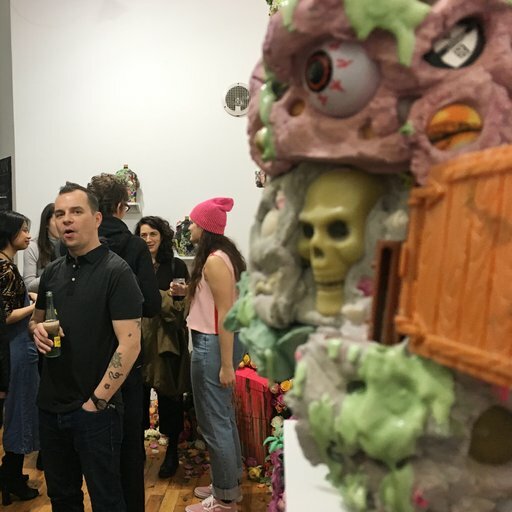 He has also shown internationally in group shows at galleries including EDDY'S ROOM in Brooklyn, Anonymous Gallery in Mexico City, Emerson Dorsch Gallery in Miami, Studio Bee in Tokyo, Japan, and Galleri Andreas Brändström in Stockholm, Sweden. His work has been featured in The New York Times, Artforum, and The Miami Herald. He lives and works in New York City. Bottle Up Your Magic in Vincent Dermody's "Spirit Jugs"
Here are 4 reasons to collect Vincent Dermody's "Spirit Jugs," which come sealed with a cork to "keep the magic in."